Volunteers from across Missouri City passionate about creating a clean, beautiful and environmentally friendly city ​through community-wide clean ups, beautification projects, recycling activities and educational programs. ​Make a difference - become a member! Learn how you can make a positive impact by joining Missouri City Green's brand new membership program. 100% of your donation comes back to the community to help keep Missouri City clean, green and beautiful. LIMIT 2 BOXES per household. 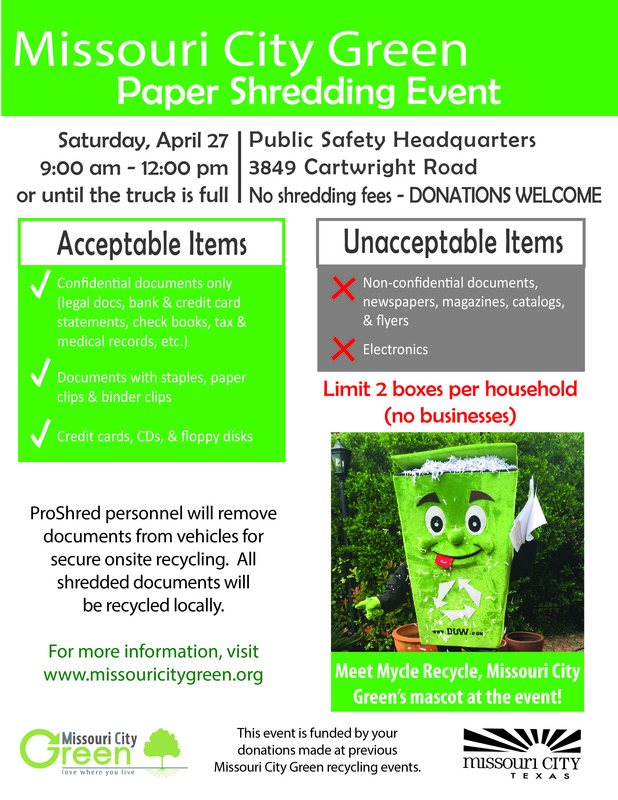 ​Residential paper recycling event, not for businesses. 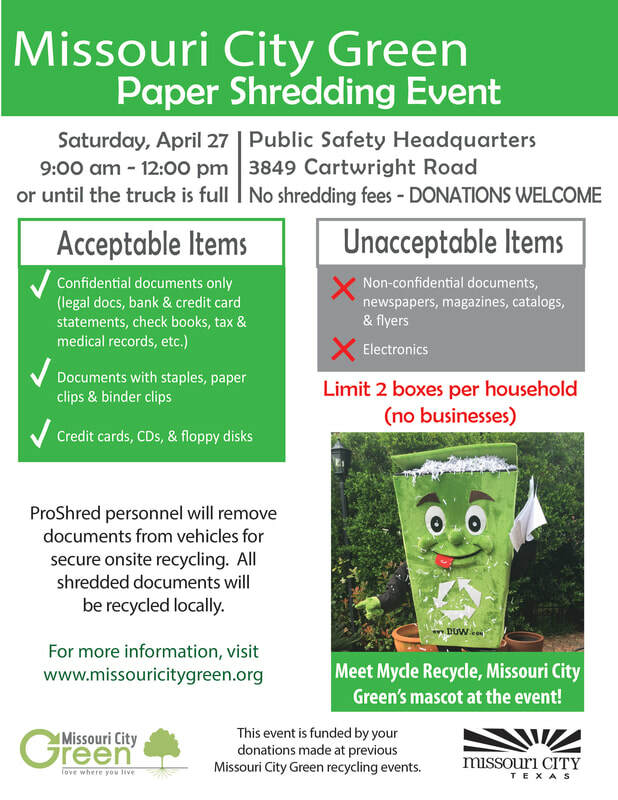 Shredding paper helps to keep us in compliance with the law, protect forests, prevent identity theft and rid our homes of clutter and fire hazards. Pro-shred provide a Confidential Waste Disposal service which enables paper and document shredding, document destruction using reliable and secure shredders. This is a FREE event open to the community. Donations will be accept to fund future community wide recycling events like this. Event hosted in partnership with ​Missouri City Parks & Recreation Dept. Missouri City Green awarded Gold Star Status.....again! 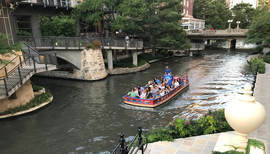 For the 3rd year in a row, Missouri City Green, the Keep Texas Beautiful for Missouri City, was awarded Gold Star Status Affiliate status by KTB. 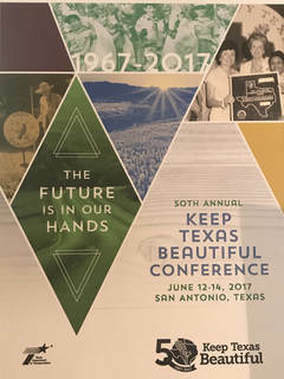 The award was made at the 50th Annual Keep Texas Beautiful Conference in San Antonio in June 2017. 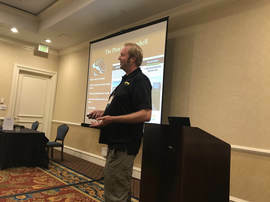 Members of Missouri City Green also presented a workshop at the Conference on the Edible Arbor Trail and the annual Edible Earth Fest event, a collaborative effort between Missouri City Green and the MC Parks and Rec. Department. ​Missouri City Green is a registered 501 (C)3 non-profit organization. 100% of your donation comes back to the community to help keep Missouri City clean, green and beautiful!